Selecting a topic can be the most difficult part of doing research. Defining and refining your topic is an ongoing process. Be prepared to change the focus of your topic as you gather more information. How you select your topic will depend also on what your instructor has specified. Interesting: Select a subject you can get interested in. Since you will be spending a considerable amount of time researching your topic, you will want it to be something that holds your interest and that of the reader. Focus: Make sure that your topic isn't too narrow or too vague. If the topic is too broad, you will be overwhelmed with information. If the topic is too narrow, you may not be able to find enough information for your research paper. A good first step is trying to ask a question about your topic to give you both a focus and structure. Broad topic: anorexia --> Focused topic: What is the relationship between women's fashion magazines and anorexia? Try to be original and creative. Some topics have been overdone, and this leads to an overwhelming amount of information, making it difficult to focus a topic. Some topics that might be overdone include: gun control, abortion, capital punishment, drugs abuse. "Under what circumstances, if any, should drug abuse by pregnant women be considered child abuse?" What is the history of assault rifle legislation in the United States? instead of To what extent can the government control gun ownership according to the 2nd amendment? By starting with what makes an otherwise common topic newsworthy it is making your research relevant, timely, more manageable and will lead you to a more interesting research question or thesis statement. Consult Hot Research Topics & Controversial Issues for ideas and new perspectives if you wish to write about current controversies. All topics can be viewed from several angles. What are the smaller questions that will help create an answer to the primary question? Who are the people affected by your study? What are the components or aspects of the topic will you explore? Where does your topic fit? Is there a specific country, state, county, city, or country in which your topic fits geographically? Can the "where" be defined by a broader regional concept such as urban/rural, global/local? Can there where also define your population - such as college campuses, prisons, elementary schools? When did the issue or event become important? a specific century/decade/specific time span are you going to need the most current information available? Historical information? Both? Why is this topic important? What is significant about this issue? articulate the possible approaches and select the best one for your needs. Which disciplines or occupations would be interested in the topic or analyze it in their literature? Many research topics are interdisciplinary and the disciplinary focus will determine the appropriate tools to use to locate information. Make sure you understand the basics of your topic. If it is new to you, familiarize yourself with the basic terms, people, events, statistics and foundational information. Reference books such as encyclopedias and handbooks will offer short articles for exactly this purpose. 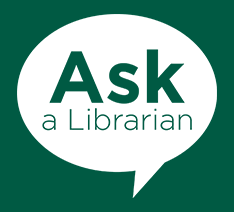 See the Encyclopedias page, the subject guide best related to your area, or ask at the Research Help desk to help you locate one. Formulate a thesis that is consistent with the evidence you find. It should be of significance to the discipline and supportable by the evidence. As you gather information, you will formulate new questions and possibly even change the focus of your research, so your thesis may change. If the issue is a controversial one, your thesis should reflect the position you are taking. A strong research paper will reflect both sides of an argument, and researching this is an important part of gathering background information. Once you have developed your thesis, you are reading to start searching in earnest and our search strategies page can get you started. Keep in mind that research in usually not a linear process - based on what you discover when you research, you may end up revising or even changing your thesis altogether.